Hotline bling, welcome to Miami! This Miami themed slot is an exciting one. Slightly inspired by the detective show Miami Vice, it revolves around the adventures of 2 detectives. 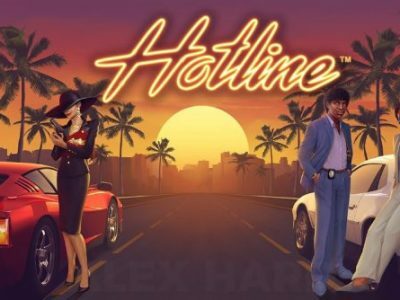 The slot is set in Miami’s beautiful atmosphere with palmtree lined street and sunsets. 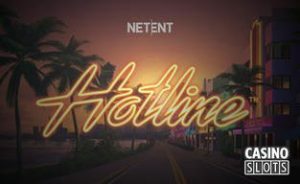 Hotline is a slot powered by Netent, a gaming software that’s been around for some time and has build an excellent reputation. It’s a trustworthy business with many slots to its name. Play Net Entertainment slots at one of our selected casinos. The jackpot prize is 200. Bets are between 0.01 to 1, that’s not a very large range but Bets are easily adjusted with coin value +/-“. Coin range from 0.01 to 1. For your comfort there’s a button that automatically allows you to play on max bet.